Klipsch is generally renowned for its fantastic line of earphones – particularly for manufacturing some of the finest in ear monitors. But in the section for the best over ear headphones, particularly the section for the best noise cancelling headphones, the brand name of Klipsch never comes up. It is not known for its excellence in designing clumpy large things that go over the head. Surprisingly, however, the Klipsch Mode M40 headphones, do not betray any of this lack of experience. 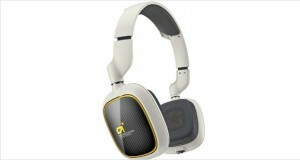 These are quite excellent headphones and are worthy additions to both the sections previously mentioned. The entire design is elegant with brown, black and copper fusing delightfully into a rounded, curvy frame. The sound itself is magnificent, with dual drivers that allow for well-defined and deep highs, mids and lows. The active noise cancellation is fantastic that works on a single charge battery for over 45 hours. These are exceptionally well performing headphones; however there are great performing headphones in this price range that give this a run for its money. Brown, black and copper accents over hard plastic and metal make the Klipsch Mode M40 headphones one of the more attractive options in that price segment. The folding joints for storage are made of metal – and thus are more rugged and add quite a bit to the heft. The wires are copper-inlaid are thus resistant to wear and tear. Dimensions7.1 x 4 x 9"
The translucent hard plastic mixed with the metal is an excellent combination that optimizes weight and style. The joints are made of metal and are thus quite durable, while the hard plastic looked like it could resist quite a few drops and kicks. The headphones press a little too much on the ears, even at the slackest settings. These are not very well suited for extended wear. The 15mm tweeter does its job admirably – the lilting notes of treble are quite well pronounced and not very harsh. The vocals and mids are well defined, and exquisitely envelop around you. The 40mm bass driver delivers thumping, woofing bass directly to your ears. The active noise cancellation module works wonders with just a single battery – with up to 45 hours of advertised use. Excellent, if we say so ourself. The overall performance of these headphones was quite good, but to be very fair there are other headphones in this range that perform much better. 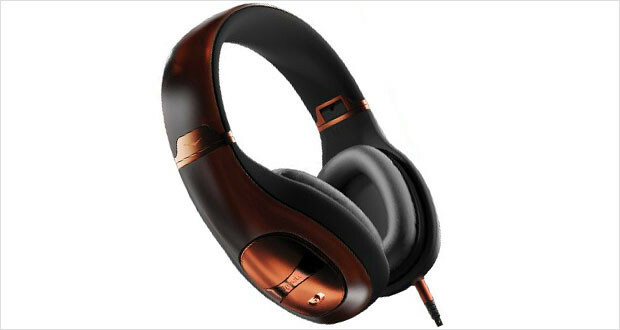 The Klipsch Mode M40 headphones are one of the finest crafted headphones available right now. They are a great marriage of form and function and have a non-conformist design that is sure to turn heads when people see you wear one. However, the headphone faces stiff competition in its segment and puritans with a little bit of money can get vastly superior headphones than these.